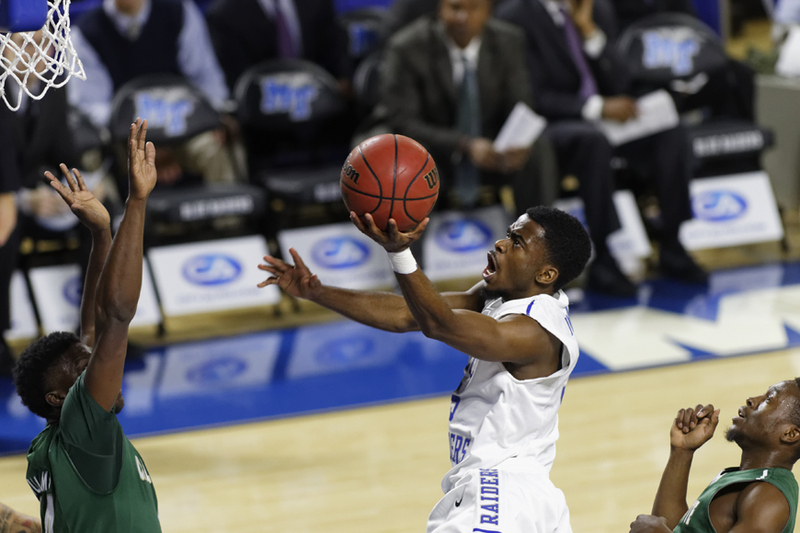 The Blue Raiders made a short trip to Nashville Tuesday night to face off against the Tennessee State Tigers. 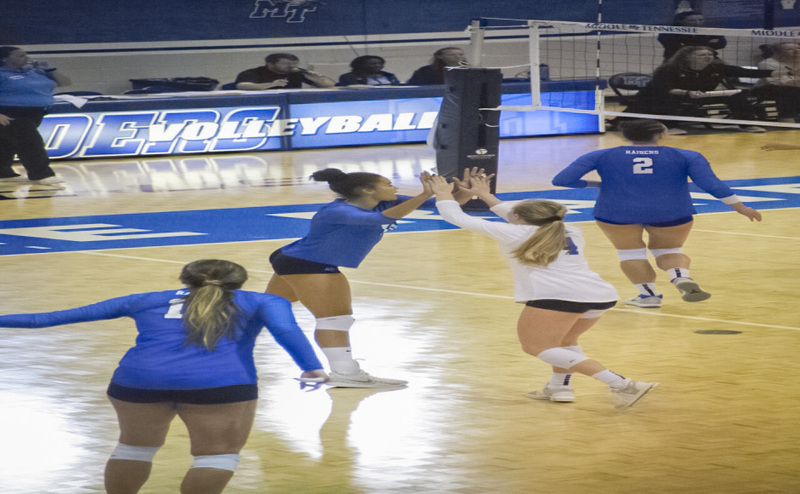 TSU came out strong, defeating the Blue Raiders in the first set, but the Blue Raiders pulled together by winning the next two sets and the fifth set to win the match. The team started off with a bad 0-7 start, which led to a quick timeout. The team never rebounded after that tough start and ultimately lost the first set 17-25. Miscues and errors led to the sloppy play of the visiting Blue Raiders. The second set started off much like the first with the Tigers going on a 5-0 run early. 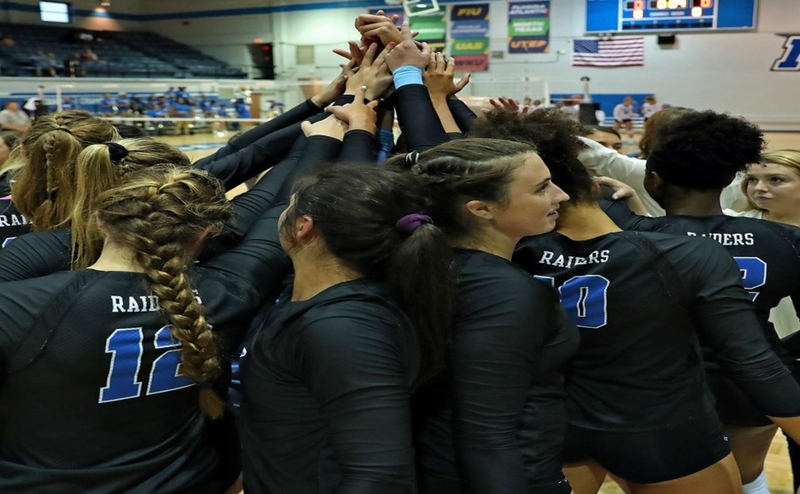 The Blue Raiders battled back however with a couple of runs of their own and kept it close midway through the second set. 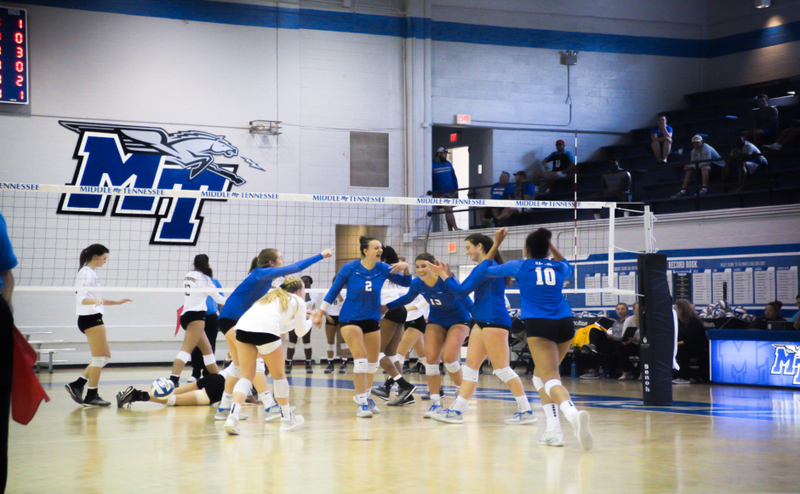 A kill from Vonnie Covington ignited an 8-3 run by the Blue Raiders, which led to them taking the set. For the Tigers, Rachel Henderson had a career-high eight blocks while Julia Pierson finished with a double-double coming up with 12 kills and 10 digs. For the Blue Raiders, senior Regan Coughlin and junior Dora Peonia posted a double-double. Coughlin had a career-high 20 kills with 13 digs while Peonia led with 15 kills and 11 digs. Junior Taylor Hammill also had great game, putting up a season-best 43 assists and 16 digs. This was a thriller right from the start. TSU came out swinging by winning the first set and only losing the second set by two. 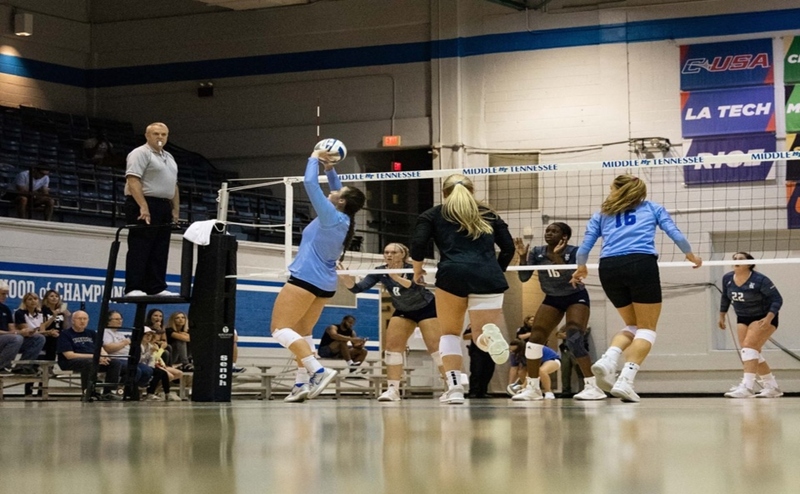 The Blue Raiders won the third but struggled in the fourth set. The fifth and final set went back and forth early. 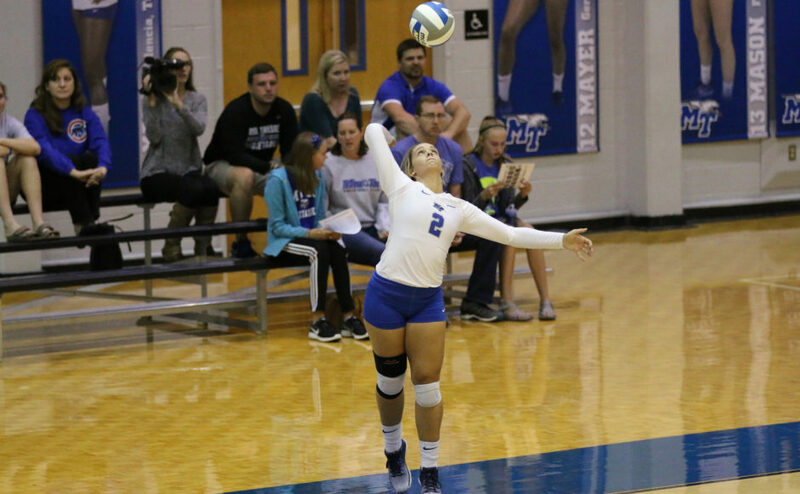 Peonia totaled six kills in the final set, which ultimately helped give the Blue Raiders their fifth win of the season. The Blue Raiders will head back home to host the Rice University Owls Friday at 7 p.m. The Blue Raiders will have two chances to get a conference win this weekend as they end the weekend against WKU Sunday afternoon.